Need A New Garage Door Remote? Call now or schedule your service online! Remote controls have become such a normal part of the daily routine of so many of us, that it would be hard to imagine our lives without these useful little tactile devices. When something goes wrong with them, however, you will most likely find that your entire busy schedule grinds to a screeching halt. Obviously, you'll want to get the issue fixed as quickly as possible, which is why you should reach out to our professional team whenever you find yourself in such a predicament. Garage doors used to be operated completely manually. We now have accessories to make opening and closing them as effortless as breathing. Electric openers have simplified the lives of homeowners and with the addition of remote controls, this process has become even more convenient. With the simple push of a button, you can open and shut your garage door. These devices use a radio frequency and a lot of opener manufacturers implement some type of rolling code technology to provide you with extra security and keep your access codes from being "hijacked". 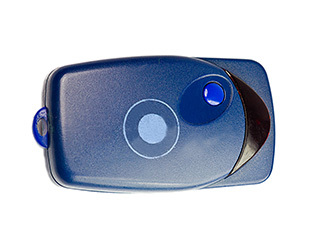 We can offer you garage door remote clickers of the highest quality. Our company sells products by the top manufacturers in the industry. Brands like Liftmaster, Genie, Chamberlain and many others. All of these brands are known for their quality and reliability. We can offer you universal and multicode remotes that will allow you to operate any opener, and even several ones at the same time. Although many homeowners will often prefer to simply replace any malfunctioning unit as opposed to opt for remote repair, that is still a very viable option. The interior circuitry of these components can become detached, which will prevent them from working correctly. Our technicians can easily put things back together and save you the money on a new unit. Of course, remember that the most common issue that might be plaguing your remote actually has a very simple solution. Just replace the batteries. So often do people simply forget to check on their batteries, and end up wasting time banging on their remote and trying to figure out what on earth could be wrong. If you need a replacement remote or want to upgrade to a new model, our team at Garage Door Repair Rocklin will be more than happy to help. Give us a call today.